When Amy (Peschong) Weier was in high school, she didn’t envision living in Mitchell. “I was always planning to move far, far away,” she said. But now she and her husband, Chris, cannot imagine raising their family anywhere else. 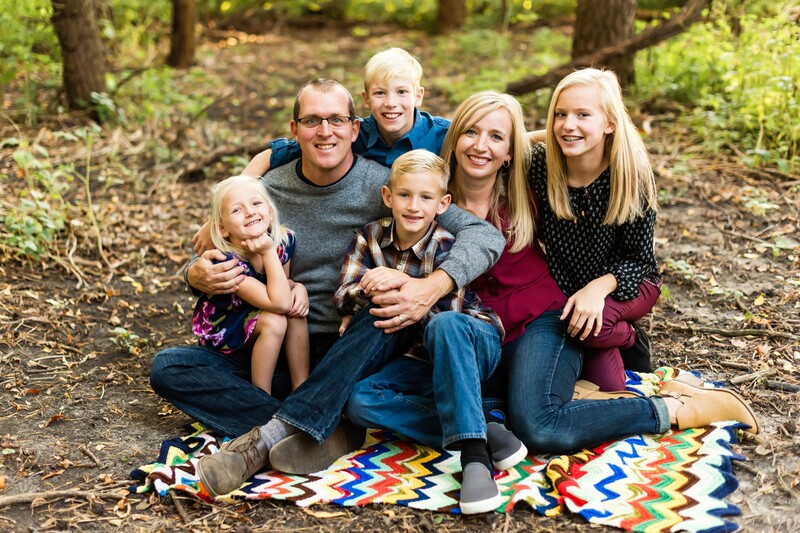 “When we started our family, we felt the lure of raising our kids here, rather than in Sioux Falls,” said Chris. Chris, a native of Platte, came to Dakota Wesleyan University in Mitchell as an education major in the 90s, and he played basketball and football. Following graduation, he spent 16 years teaching math and coaching. Amy, from Mitchell, attended college and physical therapy school at the University of South Dakota. It was during a summer home from college that she and Chris met. They married in 2000, and lived in Sioux Falls, each of them commuting in different directions. It was Amy’s late mother who played an important role in their move back to Mitchell. The Weiers and their three children lived in Amy’s parents’ basement for four months until they found a home of their own. Amy’s mom passed away in 2010. Since their move to Mitchell in 2008, the family has experienced many changes. They added a fourth child to their family, which consists of Ashlyn, 15, Cole, 14, Collin, 10 and 7-year-old Aleyse. Amy now works for Avera Therapy. And Chris, who worked as an insurance adjustor for 10 years during the summers when he was a teacher and coach, went full time with Farmers Mutual of Nebraska six years ago. Chris misses some aspects of teaching and coaching, but the family rewards have been worthwhile. The family also spends much of their free time with family, and both sides are well-represented in Mitchell and nearby. Amy’s dad and stepmom, as well as two of her six siblings and their families live in Mitchell. And Chris’s parents come to town regularly because he has a brother who is a client of LifeQuest. The Weiers’ family life is full. Their kids are involved in everything from basketball to cheer, and they appreciate the opportunities. Mitchell’s size also offers an amenity that is invaluable to the Weiers: safety. The Weiers are fans of Mitchell Kernel and DWU Tiger athletics, and they appreciate the recreational opportunities in Mitchell. Nearly 11 years after giving into the lure of Mitchell, the Weiers are still happy to call it home.